Gino Caspari, an archaeologist funded by Swiss National Science Foundation (SNSF), has possibly made the most important history-based discovery in his career – by identifying what is touted as the largest Scythian tomb (kurgan) in south Siberia, located in what is now a swamp in the Russian republic of Tuva. Instead of physical evidence, the expert instead relied on high-resolution satellite images that focused on the Uyuk River valley. And a later excavation carried out by the collaborative effort from the University of Bern and the Russian Academy of Sciences and the Hermitage Museum, not only confirmed Caspari’s estimation but also alluded to how this massive Scythian burial mound could be the earliest known specimen found in southern Siberia. 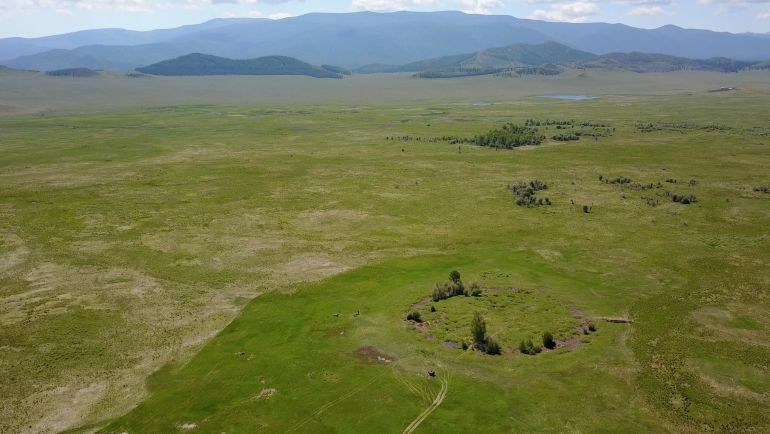 It should be noted that this very region in Tuva is regarded by archaeologists as the “Siberian Valley of Kings” – owing to the series of Scythian kurgans found in the area. In that regard, a tomb with the moniker of Arzhan 1, which was previously thought to be the oldest princely kurgan in the region, was constructed with a stone packed foundation that supported a circular arrangement of chambers. The walls of these compartments were typically lined with larch logs. We have a great opportunity here. Archaeological methods have become considerably more sophisticated since the 1970s. Today we have completely different ways of examining material to find out more about the transition from the Late Bronze Age to the Iron Age. The other fascinating part of this scope relates to how Arzhan 0 can potentially reveal its treasure trove, on basis of its ‘undisturbed’ condition, ironically brought on by the inaccessibility and the swampy marsh in this region of Siberia. 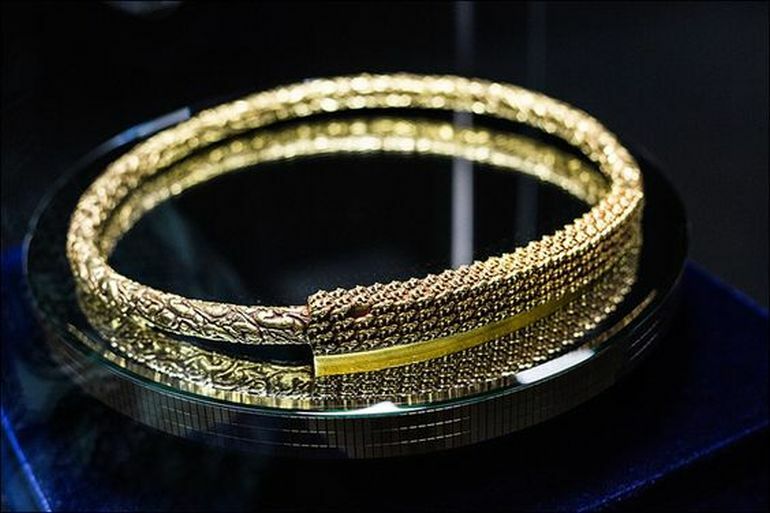 In that regard, a nearby tomb known as the Arzhan 2, dated from circa 7th century, revealed its glorious stash (unearthed by a German team of archaeologists, from 2001 to 2004) that comprised over a thousand gold objects, including a solid gold necklace of a Scythian prince that alone weighed around 4.4 pounds (2 kg) – pictured above. 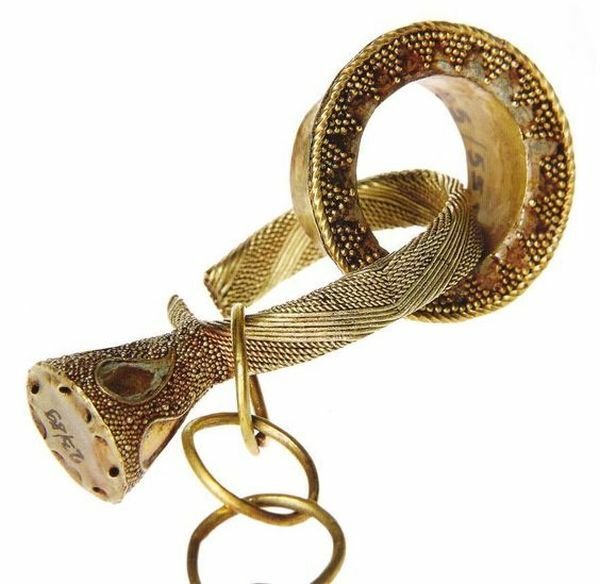 This veritable cache was complemented by exquisite weapons with precious embedded items, pots, and horse harnesses showcasing impressive craftsmanship. Very rarely ice lenses form directly beneath the kurgans. If we’re lucky, we might even find some well-preserved wood carvings or carpets under the stones, or perhaps an ice mummy. The study was originally published in the current issue of Archaeological Research in Asia.